About Us: Precious Treasures is a one-of-a-kind center for families throughout the Valley. We are the only facility that offers flexible child care, 6 days a week. We help to ensure happy families 24 hours a day. Precious Treasures was an initiative of Kay Woods, who was working in a corporate position at the Regents of the University of San Francisco (UCSF), earning a good living. Eventually, Kay, who had a discussion with her mother about compassionate child care, decided to open her child care center that her mother dreamed about. Since Kay started Precious Treasures in 2002, the center has grown more quickly to her great pleasure and surprise 4400 sq. ft. grew. This made Kay resign from the University (UCSF), return to Arizona and involve herself fully with the childcare center. Your children are always safe with us. 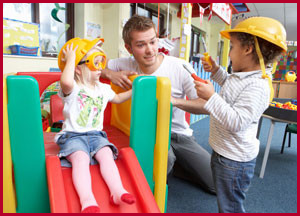 Our child care offers educational programs from 8am to 8pm. You can change your childcare schedule anytime weekly. We offer extended weekday hours when you need them. We know that each family has a unique set of circumstances and needs. That is why we offer the flexibility to work with your schedule. We also provide parent resources to help manage the complexities of raising the modern family. Our daycare has a track record of earning the trust of parents and children for providing a safe, clean, nurturing and effective learning environment. We want to be you and your child’s home away-from home care solution. All the employees at our daycare are CPR and first aid certified so that you can feel confident your child is safe, no matter what their potential medical condition may be. Give us a call to discuss your options with us today. It can be tough to find an reliable and affordable childcare for your children. That is where our company comes in. 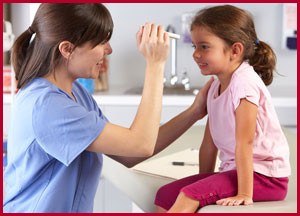 We provide safe, attentive and affordable care for your children 24 hours a day. For the child’s security, we have security cameras throughout our premises and all our staff members are verified and cleared by the FBI. If you are concerned about the cost of child care, don’t worry our company offers gift certificates for family and friends to purchase that’ll make the service as affordable as possible. Our child care will provide your kids with 3 meals a day. All of the food that we give your children is as healthy as possible so that your loved ones eat great even when they’re not at home. We also provide healthy snacks too. 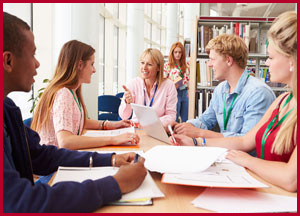 We offer reasonable rate plans on all of our child care services. This allows you to get affordable care for your child 24 hours a day, 6 days a week. Set up childcare with us today. (full time, part time and drop in). Extended hours 6 days a week.